of Hamlet's musing on suicide.. I'm certainly hoping the Afterlife is not like the dreamland I experience, 'though we are told there are similarities like..... we can create something at will. 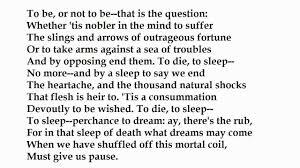 The line from Shakespeare is meaningful: "To die, to sleep - to sleep - perhaps to dream: ay, there's the rub...... for in that sleep of death what dreams may come when we have shuffled off this mortal coil, must give us pause"
Of course, we all relate to dreams; they happen every night. Do they really have a purpose? "Of course" so many will say. I once owned a BMW motorcycle. Two times I dreamed I wrecked it and died from the crash. I sold it shortly after the second dream.